Diego works with patients from a functional medicine perspective. He uses lab testing and a thorough intake process to discover the underlying causes of disease, and a combination of diet, supplements, botanicals, and lifestyle change to address them. Diego, IFM candidate (The Institute of Functional Medicine), has been studying and practicing alternative medicine and wellness for more than thirty years. He did his undergraduate work at INEF Physical Education Institute in Buenos Aires, Argentina, and studied Chinese and integrative medicine at the Atlantic Institute of Oriental Medicine in Fort Lauderdale, Florida. He has trained with world-renowned healers and educators in a variety of disciplines throughout the U.S., and Latin America. 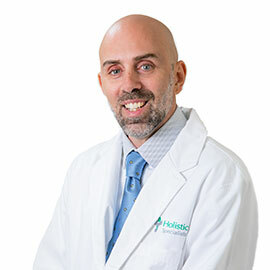 Postgraduates studies include: University of Miami Miller School of Medicine Complementary and Integrative Medicine Program, GAPS Certified Practitioner, Functional Medicine University Certified Practitioner, Functional Blood Chemistry Analysis Certification and Kris Kresser ADAPT functional medicine certification. Holistic Specialists Clinic Director since 2011 and Om’Echaye Integrative Medicine Center Director since 2016, he works side by side with medical doctors providing complementary and integrative treatments to hundreds of patients seeking solutions outside conventional commercial protocols. Accomplished Ironman Triathlon finisher, marathon runner and overall sports and outdoors enthusiast, Diego has also expertise as a certified yoga teacher and trainer. His deep understanding of how the body functions give him a unique ability to recognize and treat chronic conditions. Diego lives in Fort Lauderdale, FL with his wife and two daughters. Andrea Bretal M.D. is Board Certified in Internal Medicine and Diplomate of the American Board of Obesity Medicine. She graduated from Universidad Nacional de Rosario, Argentina and completed her Internal Medicine Residence at the Michael Reese Hospital in Chicago IL and at the Western Reserve Care System part of the Northeastern Ohio Universities Colleges of Medicine in Youngstown, Ohio. Dr. Andrea’s interest in Obesity Medicine started with her own struggle being overweight and the frustration of trying the conventional approach of “eat less and exercise more”. Without any lasting results, she decided to study the topic closer and started a journey which led her to uncover the true science behind the issue plus the importance of using a holistic and integrative approach. “Humans and a complete being, body-mind-soul and we cannot dissociate in pieces a weight loss protocol. Obesity is a complex condition with multiple causes and consequences. 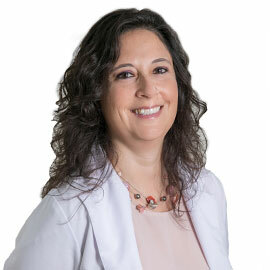 With more than 20 years of experience in the field, Dr. Andrea protocols use not only nutritional counseling but also diabetes management and revisions, hormonal imbalances like thyroid, HPA=D adrenals dysregulation, peri-menopause and menopause, stress management plus a discovery and management of self-limiting beliefs and conflicts that can sabotage your progress. 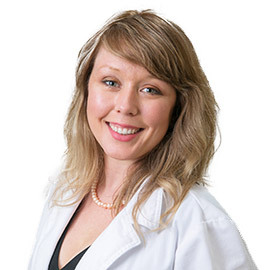 Dr. Andrea kind and humane personal touch will adjust treatments to the patient’s personal goals and needs. 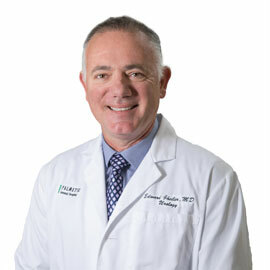 Dr. Edward Gheiler founded Urology Specialists LLC. Shantih Coro is an Italian-based dietitian specialized in sports nutrition and for the past 20 years in the gut-brain axis. 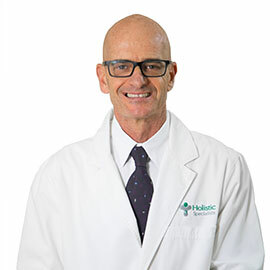 For the past 7 years, he has been part of the Holistic Specialists’ team lead by Dr. Rutenberg through online services. Shantih’s main objective is to help patients to optimize the gut-brain axis function through foods, supplements and smart lifestyle choices. He worked for many years with chronic inflammatory disease especially of the bowel, irritable bowel syndrome, gastritis, and SIBO but in the last few years, he worked my many autoimmune diseases but especially neurological mainly in children and teenagers with PANDAS, PANS, Autism, ADD, ADHD, and other learning behavioral disorders. He understood from the very beginning as a nutritionist that the gut the disease is ONE with many expressions and all it begins in the gut. If one can take the gut back to optimal function, it will take care to drastically improve any medical condition, health problem, and performance. B. Coco Fortner received a BA in Biological Psychology and an MA of Acupuncture and Oriental Medicine from Atlantic Institute of Oriental Medicine. After spending several years running an herbal pharmacy and compounding custom herbal formulas for thousands of clients, she traveled the world on Princess Cruise Lines & operated a high volume Chinese Hospital Style acupuncture clinic. Patients received daily acupuncture sessions and achieved profound therapeutic results for various conditions including arthritis, back pain, migraines, depression, sexual dysfunction, fertility, insomnia, neuralgia, traumatic brain injuries, etc.